Janne Schra (Netherlands) see: Samples etc. Greg Schroeder (US) see: Samples etc. Sébastien Schuller (France) see: Samples etc. Idde Schultz (Sweden) see: Samples etc. Schwarz (Spain) see: Samples etc. Patti Scialfa (US) see: Samples etc. Mauro Scocco (Sweden) see: Samples etc. 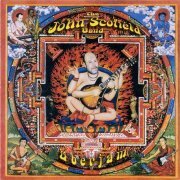 John Scofield is pretty much the jazz guitarist's jazz guitarist, having played with many of the field's top names, including Miles Davis, Charles Mingus and Herbie Hancock; having recorded under his own name since 1977, it's near-impossible to ascertain how many original albums he's produced. 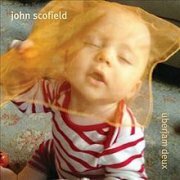 2002's Überjam, recorded with Scofield's friends from the New York avant-garde scene, is a cross between his own jazz stylings and those of John Medeski & Co., making it an album that should appeal to both audiences. Medeski plays his Mellotron on a couple of tracks, with skronky pitchbent strings all over opener Acidhead and more discrete flutes on Polo Towers, refusing to overuse it, as usual. As a result, while this is a must for fans of Medeski's demi-monde, or anyone who appreciates reasonably 'out there' modern jazz, Mellotron fans should probably approach with caution. Scoldees (US) see: Samples etc. Scorfina/Nickeson (US) see: Samples etc. This is the Scorpions before the on-stage human pyramids, the striped guitars, the enormously silly (but, let's face it, fun) arena rock of the mid-'80s. 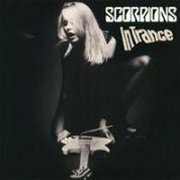 This is the Uli Jon Roth Scorpions, with more than a touch of Hendrix about their sound, and a proggyish feel to some of their material. In fact, first album Lonesome Crow (1972, ***) has a 13-minute epic in its title track, and the band could've gone in a very different (and FAR less financially lucrative) direction at an early stage. Saying that, both these albums (their second and third) have songs that wouldn't have been so out of place a decade later; Speedy's Coming, Dark Lady and Top Of The Bill for three. 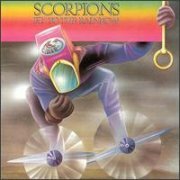 Actually, the best place to sample early Scorpions is on their 1978 double-live album, Tokyo Tapes (****½) released after Uli had already left to kick-start his solo career. There's a fairly obvious dichotomy between the songs written by the two guitarists on Fly to the Rainbow; Rudy 'brother of Michael' Schenker's are either straightforward rockers or delicate ballads, while Uli Roth's are proggier, with more freakout guitar work. Michael Schenker was their original lead guitarist before being lured away to join UFO in 1973, and gets co-writing credits on three of the tracks here, including a surprising 'M.Schenker/U.Roth' one on the title track. I don't know if the two guitarists worked together at any point, or whether Michael's work was added to by Uli; it certainly has many of the hallmarks of an Uli song, though thankfully not his godawful vocals (only to be endured here on Drifting Sun), although he does add some fairly awful narration. The band's regular vocalist, Klaus Meine, has a damn' good voice, and it seems odd that they let Uli anywhere near a mic. This is no slur on Roth's excellent guitar work, but as with his solo albums, GET A SINGER! A notable feature of this album is the keyboard work by semi-member Achim Kirschning, although it didn't take the band long to move away from this direction. He adds tasteful Hammond and synth parts to several songs, with some Mellotron strings on the intro and outro of Far Away, and a few chords towards the end of Fly To The Rainbow itself. He was retained for the following year's In Trance, getting in some choirs on the intro of Evening Wind, and some understated (read: quiet) strings on the instrumental Night Lights. Uli's given another vocal here, on the uncharacteristically rocking opener, Dark Lady, but is thankfully kept in check the rest of the time. Back onto topic, I think... both Fly to the Rainbow and In Trance are good albums, but a little formative, and the Mellotron work on both definitely doesn't make them worth purchasing for that alone, so buy only if you really have to hear all their early work. Otherwise, stick with Tokyo Tapes. 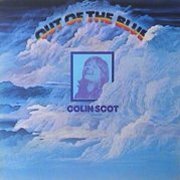 Colin Scot was apparently a participant in the early-'70s UK folk scene, although unlike several of his contemporaries, he never really managed to make a name for himself, despite releasing several albums throughout the first half of the decade. To be brutally honest, listening to his music as an 'outsider', you can see why he never reached the heady heights of Al Stewart et al. Although perfectly pleasant, the material on Out of the Blue just doesn't really cut it compared to that of his better-known compatriots and with the benefit of thirty years' hindsight, is, sad to say, a little dull. Saying that, Song Of The Lonely Traveller is a sterling performance, while Scot's version of The Strawbs' The Man Who Called Himself Jesus allegedly rivals Dave Cousins' own. I was interested to have it confirmed recently that the 'Dave Ethridge' who plays string bass and Mellotron on the album, on top of his arranging and conducting duties is actually my old friend David "Brillo" Etheridge (no relation to John). Dave (once the proud owner of both a pristine Mark II and an M400) plays Mellotron on three tracks, although it's difficult to tell where Mox's flute stops and Dave's starts on Analine, although I assume the polyphonic part is all tape replay. More overt flutes on Friend Love and a volume-pedalled phased string part on The Man Who Called Himself Jesus, slightly spoiled by Mox's harmonica. Sadly, Colin Scot died in Amsterdam in 1999, although solid information is hard to find. He was obviously popular amongst the tight confines of the scene, but I couldn't in all honesty recommend this album, unless slightly second-rate early-'70s singer-songwriters are your bag (although Scot only actually wrote three of the album's ten tracks). The Mellotron work, however, is pretty good, although probably not worth seeking out unless you're a completist. What do you mean "like me?". Alison Scott (US) see: Samples etc. Claudia Scott (Norway) see: Samples etc. Jamie Scott (UK) see: Samples etc. 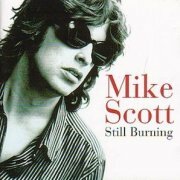 I played half of Waterboys mainman Mike Scott's Still Burning thinking it was a Glen Matlock album, due to a mix-up in a dark car (oo-er). The confusion is understandable, as both records are largely mid-paced dad-rock and really rather unexciting. That's a particular shame in Scott's case, as not only were his early Waterboys records really quite good, but so is his subsequent album with/as them, A Rock in a Weary Land, albeit in a different kind of way. This is just his usual schtick: American-ish mainstream pop/rock with soul and r'n'b influences, reasonable lyrics and a retro kind of sound with half-spoken vocals. I blame Bob Dylan. For some strange reason, Scott insists on spelling Mellotron 'Melletron', even though the name's quite clearly screen-printed onto the control panel. There's supposed to be 'Melletron' on four tracks here, with nothing obvious on My Dark Side, Dark Man Of My Dreams or Sunrising, but definite (if quiet) flutes on Open. Speaking of gear, in the sleevenotes, Scott eulogises over a 'Yamaha RD500' that he plays on several tracks. A 'Net search for this only turned up hits for a motorbike (! ), although there is a Roland RD500 digital piano. All this leads me to assume that Mike Scott really isn't at all sure what gear he's using, although I'll continue to assume that the Mellotron here's real. 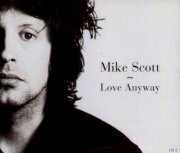 To compound that particular spelling felony, Scott released an EP at the same time, based around the album's Love Anyway, featuring a track called Careful With That Melletron, Eugene (I hope you all get the reference). It's an acoustic messabout kind of thing, Jan Kybert dicking around on 'Melletron' flutes, to no great effect, although at least it sounds real. Scott's supposed to play it on Since I Found My School, but, as with three of the album's allegedly relevant tracks, it's inaudible. Robert Scott is best-known for his membership of seminal Kiwi outfits The Clean and The Bats (both Flying Nun acts), 2001's The Creeping Unknown being his sole solo album to date. It combines low-fi songs (Harmonic Deluxe, Fog And Wind) with short, relatively 'standard' instrumental pieces (Shelf Control, the title track) and experiments in sound (Footbridge, Extinguisher) into a surprisingly cohesive brew, given how different most of the tracks sound to each other. Scott plays Mellotron, amongst many other things, with tortured, horrendously wobbly flutes on Footbridge, Morepork Makes It Home and Upper Lab and, er, something (more flutes?) on Details At Play, on a machine that sounds like it's on its last legs, doubtless deliberately. This isn't an album for those who like certainties in life (not least 'Mellotrons played in tune'), I suspect, but if you're of a low-fi/experimental bent, there's much here that may catch your ear. Do You Know a Good Thing When You See One? 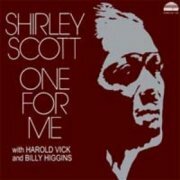 Shirley Scott was known as 'queen of the organ', a known admirer of the legendary Jimmy Smith, operating in various areas, including a jazz/soul crossover. She released her first album as leader (a concept now almost unknown outside the jazz world) in 1958, making 1974's One for Me at least her 35th, ignoring, co-credits and side(wo)man records; it's pretty much what you'd expect of a '50s jazzer in the '70s: a bit of a throwback, musically excellent, but rather dated for its time. Scott plays the Mellotron on closer Don't Look Back herself, with an ethereal string part drifting in and out of the mix under the ubiquitous Hammond and sax. So; one for jazzers, and not even of the fusion variety. It's trad, dad... Excellent at what it does, assuming that's what you're into, with one reasonable 'Tron track. Melbournite Craig Dermody's Scott & Charlene's Wedding (ironically named for an iconic scene in terrible Aussie soap Neighbours, for the cheerfully uninitiated) play an indie/powerpop crossover on their second album, Any Port in a Storm, a kind of concept album about Dermody's failed New York experiment, I believe. Unfortunately, most of the material tends towards the whiny end of the spectrum, while tuning seems to be a major issue here: vocals throughout (no, you're not Bob Dylan. Or Lou Reed, New York or no New York) and rhythm guitar on Fakin NYC. This may well be lyrically erudite, but it's largely musical tedium. Ben Morgan plays keys and Mellotron, the very much real latter only evident on closer Wild Heart, with a string part that cuts through in the way that samples don't (listen for the heavy wobbles at the end of the track). Nice to hear a real Mellotron in these days of samplemania, but don't bother for the music. Scout (US) see: Samples etc. Nashville's Screamin' Cheetah Wheelies are loosely categorisable as 'southern', although anyone coming here looking for some Skynyrdesque action will probably be disappointed; their 'southernness' has more to do with vaguely shared influences than their actual sound. 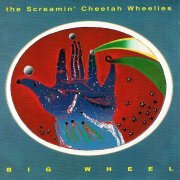 1998's Big Wheel is their third album, covering a variety of related styles, probably at its best on Halcyon Days, the ripping More Than I Can Take and closing epic (well, it's a southern album, isn't it?) Grace (Write Me). 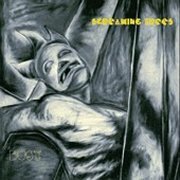 The Screaming Trees had been around for a good decade by the time they released Dust, generally regarded as the apotheosis of their career, finally collating all their diverse influences. 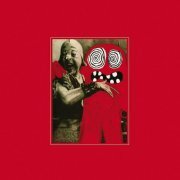 The album switches between sort-of grunge (they never really fitted into that category, despite hailing from the Seattle area), folk, eastern-influenced raga, hard rock... You name it, really. Vocalist Mark Lanegan has gone on to solo fame, or at least respect, and the release of the Nearly Lost You compilation in 2001 seems to finally sound the death knell for the band. I know this is going to sound ludicrously biased, but my favourite tracks really are the four featuring Benmont Tench's Mellotron. Opener Halo Of Ashes has lashings of (presumably) Coral Sitar, with stacks of 'Tron strings weaving in and out of the mix, while Traveler is a slow-burner, switching between strings, flutes and choir. Dime Western has eastern-flavoured strings layered over a more straightforward number, and Gospel Plow goes back to a raga feel, with tablas and harmonium, before lurching into a Zeppelinesque grind with more of those strings. The rest of the album is less special, but these four tracks are all excellent, so I think I can recommend picking it up second-hand, at least. 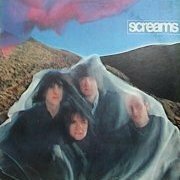 Screams were a rather poppy US hard rock outfit from the tail end of the seventies, but in a good way, with more than a hint of Cheap Trick to their sound. I've seen 'em described as 'power pop', and I suppose that's not an unreasonable description. Tuneful but not very photogenic, they only released this one album before rather unfairly disappearing back into obscurity; it's not a bad record at all, though unlikely to win any 'lost classics' competition. Session player (?) Tony Lufrano plays Mellotron on a couple of tracks; orchestrated flutes on the slightly epic I Play For You, and choirs on the more straightforward Pen Pal. No idea what persuaded them to add the 'Tron parts, but they certainly don't harm the record. On listening to this again, I've realised that several of the songs are actually really quite good; I seem to remember owning a copy of this not long after its release, then selling it again. A mistake. Despite not being 'classic', it's worth a listen for scholars of lesser-known US hard rock. The Mellotron use is nice but inessential, to be honest; don't pick it up for that alone. Scrote (US) see: Samples etc. Scumbucket (Germany) see: Samples etc. Sea & Cake (US) see: Samples etc. Sea Goat (Germany) see: Samples etc. Seahorses (UK) see: Samples etc. Seal (UK) see: Samples etc. Sealion (Ireland) see: Samples etc. Seaweed (US) see: Samples etc. Beginning as bassist Lou Barlow's Dinosaur Jr offshoot, after J Mascis chucked the others out, Sebadoh seem to have gone on to become the kings of the US indie scene. They're pioneers of the low-fi ethos, mixing folk, psychedelia, punk and just about anything else you can think of into a mélange of murk, strangely low on energy much of the time. Rather like Dinosaur's original lineup, the band seem to be in a permanent state of semi-existence, reforming for tours in between other commitments, although I've no idea whether or not they plan on releasing anything again. No prizes for guessing how many albums they put out before the double III. The album's length actually works against it, as this isn't the kind of stuff that bears listening to for over an hour, despite the reasonable level of variety on offer, although I'm sure fans would argue the toss on this one. To be brutally honest, this really doesn't do it for me at all, but I'm not prepared to slate it on that account, as it's clearly well-constructed, just not my bag. Mellotron from producer Sean Slade (who, amusingly, also played it on Dinosaur Jr's Green Mind the same year) on a mere one track, with ghostly strings on Spoiled that neither add to nor detract from the track. Three years on and three albums later, Bakesale is, oddly, a rockier proposition all round, sounding strangely like Hüsker Dü in places. 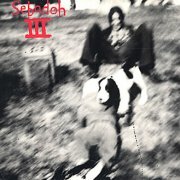 Maybe not so odd; grunge had hit in the intervening years, and maybe Sebadoh's earlier style was getting washed away in the flood of Seattle-based distortion, leading them to look backwards to Minneapolis' gods of pre-grunge. Whether or not it'll appeal to you is another matter, of course, I'd rather listen to Hüsker Dü, personally, but there you go. 'Tron strings on Dreams from either Barlow or Anne Slinn, both of whom are helpfully credited with 'organ' (heard on Temptation Tide), with a short, rising part that improves an otherwise fairly ordinary track. Oh, and that horrible cover pic? Barlow, aged one, taken by his mum. Two years on, and Harmacy isn't dissimilar to its predecessor, albeit maybe slightly less full-on. 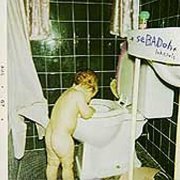 More of those Hüsker Dü-isms in places, though still not as good as them; Sebadoh are doing something different, so maybe comparisons are unfair. 'Tron from Barlow this time round, with strings on Willing To Wait and Open Ended and flutes on Too Pure, and while there's nothing jaw-dropping, at least they used it a bit more this time round. 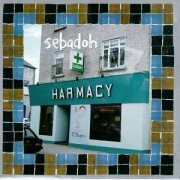 So; plenty of people seem to like Sebadoh, although I'm afraid I shall have trouble joining them. Perfectly good at what they do, but I just can't bring myself to like what they do... Not all that much Mellotron on any of these, Harmacy being the best, and despite rumours, nothing on their last album (at least to date), '99's The Sebadoh. Guy Sebastian (Australia) see: Samples etc. 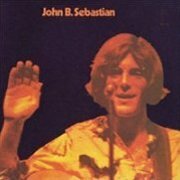 Post-Lovin' Spoonful, John Sebastian went the solo route, 1970's John B. Sebastian being his second release, containing an interesting mixture of styles, in the way you could back then without being derided for your 'lack of focus' or somesuch. Rocking efforts like Red-Eye Express and What She Thinks About contrast sharply with the acoustic beauty of She's a Lady or the light vibraphone jazz of Magical Connection, not to mention the pedal steel-assisted country of Rainbows All Over Your Blues. Of course, the lyrics are an important part of the album, as they have been for Sebastian's entire career; watch for the wonderful stanza in How Have You Been about the 'strange European guitar string I found on the floor of a club in Marseille'. The album's chief fault? Inconsistency, despite what I said above. Variety's fine, but jaunty stuff like Baby Don't Ya Get Crazy don't enhance the record at all, although removing anything would turn it into barely more than a long EP. The sleeve features complete instrumental credits, with one important exception. Someone, possibly Paul Harris, plays Mellotron on the clavinet-driven Fa-Fana-Fa, with some squelchy brass and mandolin that's quite clearly tape-generated (apparently Elektra Studios' own MkII; thanks, Chris). Was this a US version of the Musicians' Union issue? Why else would it be uncredited? Anyway, we're not talking a classic by any means, but John B. Sebastian's a passable enough album with a few really nice moments and one odd tape-replay track. 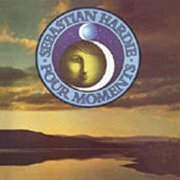 Sebastian Hardie are without doubt Australia's best-known progressive act, being asked to reform for a one-off appearance at America's Progfest in 1994. I've heard them described as 'dated', but to my ears their music's a gorgeous example of lush, symphonic progressive rock, although I'll admit there may be a slight tweeness to their sound in places. Actually, what they really remind me of is the contemporaneous Italian scene, which isn't surprising when you look at their mainman's name; Mario Millo? Despite being very Australian, the band was formed from, er, 'immigrant stock', for want of a better phrase, so I'm assuming that the music the members grew up hearing was from the southern European classical tradition. By 1976 they'd probably also heard at least the bigger names from the Italian scene, but they could just be a case of parallel development. Who knows. Anyway, Four Moments is an absolute bloody classic, particularly the side-long title suite, with a main theme to die for. At different points in the piece, it manages to be powerful and stately, reflective, or sprightly and uptempo, showing the considerable grasp the band had on dynamics and progressive song structures. The two instrumentals on side two are almost as good, but without the 'oomph' moments of Four Moments, but still display the band's considerable melodic invention, particularly in Millo's guitar parts. There's actually slightly less of Toivo Pilt's Mellotron on the album than I remember, although Four Moments is stuffed with it (mostly strings), accentuating the epic qualities of the piece as is its wont. Rosanna and Openings use it with more subtlety, but bugger subtlety, give me more of that title track! This is superb, and I can attest to its ability to bear repeated playing. Windchase is a slight disappointment after the glories of Four Moments (sorry), but only because of its immaculate forbearer; it' still a damn' good album, just not quite up there with its predecessor. Again, the title track is a side-long affair, but without the exceptional highs of Four Moments and worst of all, most of the Mellotron has been replaced by Solina. Why? The Solina's a beautiful instrument, in its place, but replacing Mellotron strings wholesale is not that place. To be fair, there are some background choirs in the piece, and you can definitely hear 'Tron strings duelling with the Solina towards the end, but overall, it only removes the lushness of its predecessor, all for the joys of infinite sustain. I can't understand why Pilt couldn't use both to complement each other, rather than the complete synthetic takeover. Oh well. Anyway, side two consists of four shorter pieces, still basically keeping the quality up, although again, without the quite extraordinary quality of the Four Moments tracks, although closer Peaceful gives them a close run. 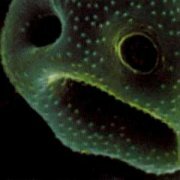 More 'Tron choirs, especially on the oddly-titled Hello Phimistar, but this could hardly be described as a Mellotron Album, sad to say. Incidentally, it's rumoured that the reason the choirs on the album sound slightly strange is that they aren't the standard 8-voice, but the (unsurprisingly) little-heard 15-voice 'TT' (or Teddy Taylor) version, making this album one of the few where this unusual sound can be heard. The band fragmented after their second album, with Pilt and Millo going on to form Windchase, whose sole album is a kind of progressive/Santana crossover, which is unfortunately less exciting than it sounds. As mentioned above, they were asked to reform to play Progfest '94, and the bulk of the Four Moments suite can be heard on the official souvenir of the festival, Musea's Progfest '94, complete with period keyboard equipment. Five years later, their whole set (I believe) was released by Musea as Live in L.A., and it's pretty magnificent, including all of Four Moments, plus Solina-free highlights from Windchase, although the set is based around their debut. 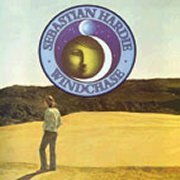 The band get the chance to stretch out a little, including Mario Millo's solo guitar piece, making this another essential Sebastian Hardie album. So; it hardly needs to be said; if you're into either prog or the Mellotron (or preferably both), you need a copy of Four Moments, so buy Windchase while you're at it, and then Live in L.A., simply because it's there. 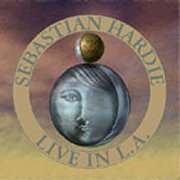 Incidentally, Sebastian Hardie reformed again in 2003, but only to play a few shows in Australia.